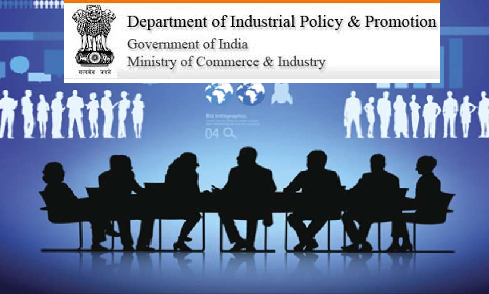 The Department of Industrial Policy and Promotion, Ministry of Commerce and Industry initiated the process of formulation of a new Industrial Policy in May 2017. Since the last Industrial Policy announced in 1991, India has transformed into one of the fastest growing economies in the world. With strong macro-economic fundamentals and several path breaking reforms in the last three years, India is equipped to deploy a different set of ideas and strategies to build a globally competitive Indian industry. The new Industrial Policy will subsume the National Manufacturing Policy. A consultative approach has been taken for industrial policy formulation wherein six thematic focus groups and an online survey on DIPP website have been used to obtain inputs. Focus groups, with members from government departments, industry associations, academia, and think tanks have been setup to delve deep into challenges faced by the industry in specific areas. The six thematic areas include Manufacturing and MSME; Technology and Innovation; Ease of Doing Business; Infrastructure, Investment, Trade and Fiscal policy; and Skills and employability for the future. A Task Force on Artificial Intelligence for India’s Economic Transformation has also been constituted which will provide inputs for the policy. It is proposed that the new Industrial Policy will aim at making India a manufacturing hub by promoting ‘Make in India’. It will also suitably incorporate the use of modern smart technologies such as IOT, artificial intelligence and robotics for advanced manufacturing. Hon’ble Minister of State(i/c) for Commerce & Industry Smt Nirmala Sitharaman will hold consultations with stakeholders, including industry captains, think tanks and State governments in Chennai, Guwahati and Mumbai. The Industrial Policy is likely to be announced in October 2017. DIPP invites comments, feedback, suggestions from the public regarding framing of the new Policy. A discussion paper in this regard is attached herewith. All comments, suggestions, feedback on the new Industrial Policy may be sent to DIPP at kokila.jayram@nic.in or jsvk-dipp@nic.in by September 25, 2017. DIPP invites comments, feedback, suggestions from the public regarding framing of the new Policy. All comments, suggestions, feedback on the new Industrial Policy may be sent to DIPP at kokila.jayram@nic.in or jsvk-dipp@nic.in by September 25, 2017.